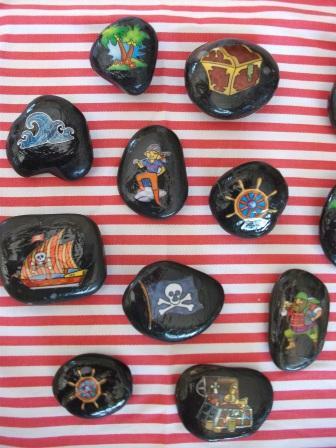 There’s been a lot of buzz about story stones on the blogosphere over the last few months and now that it is school holidays, I have finally been able to make some of my own. 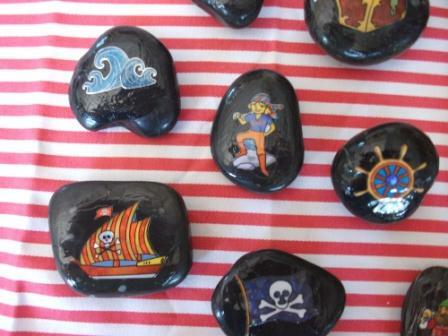 It was recently Talk Like a Pirate Day and in honour of that day I thought I would make some story stones around the pirate theme. 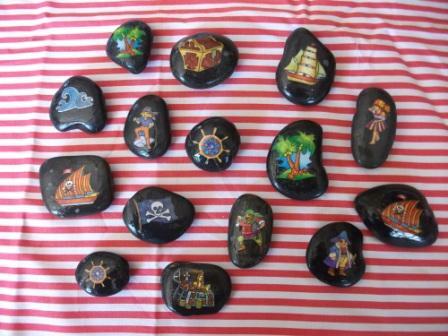 Last school holidays I had made some alphabet, counting and sight word stones and still had plenty of left over rocks.I purchased some acid free stickers with pirate images on them and stuck them on the rocks. 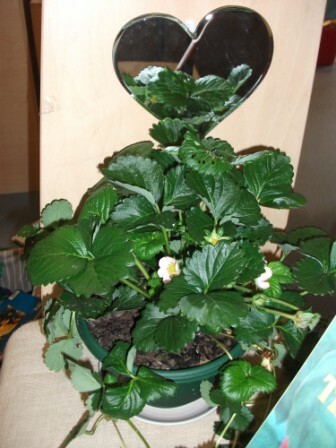 I painted 2 coats of PVA glue over the top. This glue dries clear and seals the stickers onto the stones. 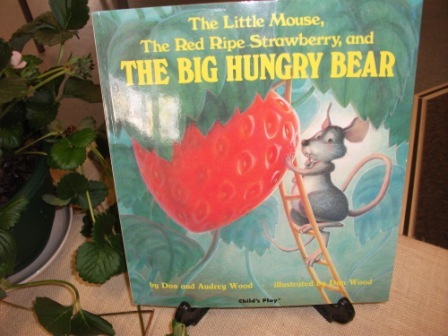 The sticker pictures came in different sizes, adding mathematical language to the stories as well. To store the stones I cut a square of red ticking fabric which can also act as a mat for telling the stories. When finished, the children can bundle up the stones inside the fabric and using some thick cord, made into a loop, secure them inside ready for next time. 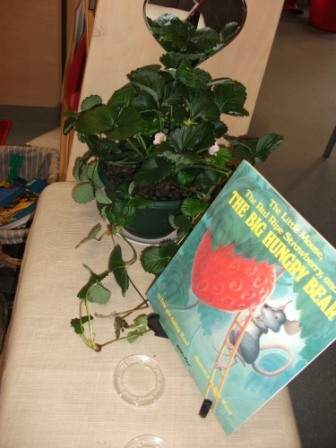 On the other side of the fabric, a treasure map could be drawn to add to the story telling. 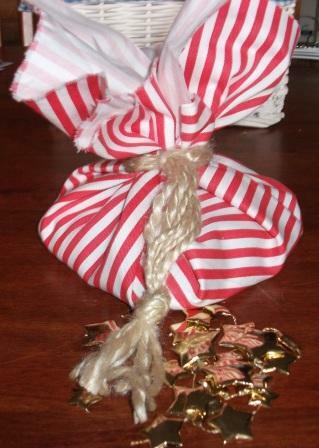 To stimulate dramatic play I have added some golden beads to the pirate bundle. 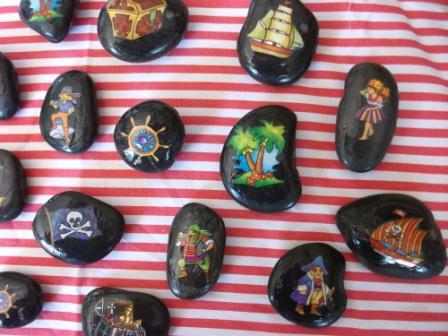 I’m now going to make some more generic story stones using other stickers I’ve collected. 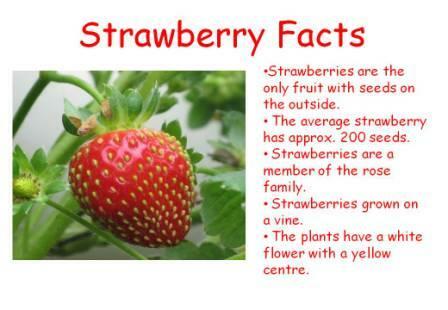 Here are the links to my other posts about the sight word and alphabet stones.